At Miller Legal Services, we are trial lawyers dedicated to zealously advocating for the rights of individuals and small businesses. I have 30 years of negotiation and courtroom experience and are committed to obtaining favorable results. We enjoy working one-on-one with each of our clients. Cases are not passed down to a legal assistant, paralegal, or investigator; instead, we are our clients’ primary contact. In our firm you will work directly with an attorney throughout the process, from start to finish. Call the lawyers at Miller Legal Services, for a free and confidential initial consultation 800-585-1444 or 715-386-9655. We strive to provide the best legal representation possible. Let us put our dedication and experience to work for you. We are located in downtown Hudson, Wisconsin, and have successfully resolved cases throughout Wisconsin, including in Barron, Buffalo, Burnett, Dunn, Pierce, Polk, and St. Croix counties. 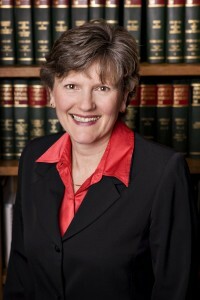 Our attorneys serve individuals and small businesses throughout Wisconsin including those from the cities of Alma, Amery, Arcadia, Baldwin, Balsam Lake, Barron, Chetek, Chippewa Falls, Cumberland, Deer Park, Dresser, Durand, Eau Claire, Ellsworth, Elmwood, Glenwood City, Grantsburg, Hammond, Houlton, Hudson, Ladysmith, Luck, Maiden Rock, Menomonie, Mondovi, New Richmond, Osceola, Prescott, Rice Lake, River Falls, Roberts, St. Croix Falls, Shell Lake, Siren, Somerset, Spring Valley, Spooner, Star Prarie, Stanley, Turtle Lake, Webster, Whitehall, Woodville.